Figuring out how to bond with your stepchild can create a great number of challenges for new families. While biological parents literally evolve and grow with their children, stepparents make the choice to become part of a preexisting family, interrupting whatever dynamic was already there. That dynamic may be positive or negative. Healthy or not. But the stepparent is often seen as the reason things change. And while the change may be an amazing opportunity for the family, change is nevertheless painful at times. 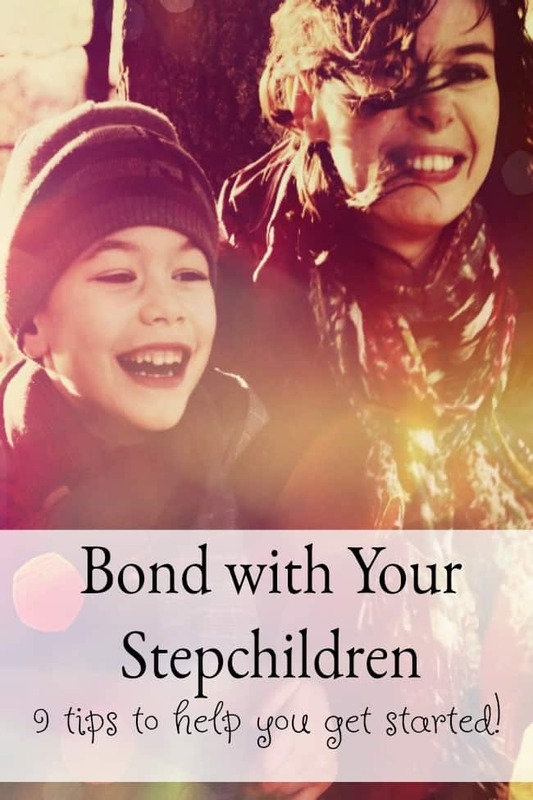 With a lot of patience and consistency, you can bond with your stepchildren. In fact, you can develop an extraordinary relationship with them. It is important to be patient when you are working on bonding with your stepchild. These relationships are not formed overnight. It takes time and patience. Don’t push the relationship too fast. One good way to go about things is to follow the lead of the children. Some kids bond faster than others, depending on age and situation. Allow for grace and give it time. As with any relationship, you need to spend time together to grow closer. Quality time is key. Start by asking the kids what activities they like to do and then do one together. Make it a habit and eventually, you will see your stepchild looking forward to this time with you. If your stepchildren are acting out or being unkind towards you, remember all that they have been through. Whatever their behavior, they are a child and you are an adult. It was probably a bumpy road at times as you were deciding if loved your partner enough to become both spouse and parent all at once. You had serious choices to make. The kids in your new family had far fewer choices. They were likely along for the ride while adults made decisions about the direction of their lives. Expect some frustration. And love them anyway. Invite them into your life. You are family now, so start sharing parts of your life. Share your family traditions with the kids and include them in the everyday routine. If the biological kids have a special Christmas stocking, make sure they stepkids do too. Invite all of your kids together to look at old photographs of you when you were young and silly with a terrible haircut. Being able to laugh together is the beginning of a real bond. And your stepkids need to know if they can goof around with you. Make a point to tell the family stories and ask them about theirs. Treat your stepkids the same way as your biological kids. This is a big one for me… We actually banned the use of the term “step” anything at our house. We introduce our kids as our kids. It is not a fast food order –> these are our two kids and the one on the side. How terrible it must feel to always be the child who is called out as not belonging. If you are showing favoritism, the kids will know. This is a really hard area to focus on but very important. Spend time doing family activities as a family. One family. Not a couple of families mushed together in the same space. It will feel weird and forced at the beginning but the more you do it, the more normal it becomes. Be clear about your role. You are not their new mom or a replacement mom. Your role as a stepmom is unique and does not need to compete with their mom. Sit down and be honest with your stepkids, explaining that this is all new to you too but that you are excited about the relationship and looking forward to figuring it out together. NEVER talk badly about the other parent. NEVER. That is a big no-no. Give child time alone with biological parent. In a single parent home, the child really looks to the biological parent as the stability in the family. With your new relationship with the child’s parent, the child might feel threatened that they have been cut off from that stable center point in their lives… Or at least feel pushed off center. Encourage the child and parent to spend time alone together. Form new traditions and memories. With your newly formed family, this is the perfect time to establish new traditions together. This can help create a family atmosphere. Whether it is Friday pizza night, trips to visit grandparents, or family softball on Saturday, these moments will be a special time just for your family. And new traditions help bring both sides of the family together. What about you? 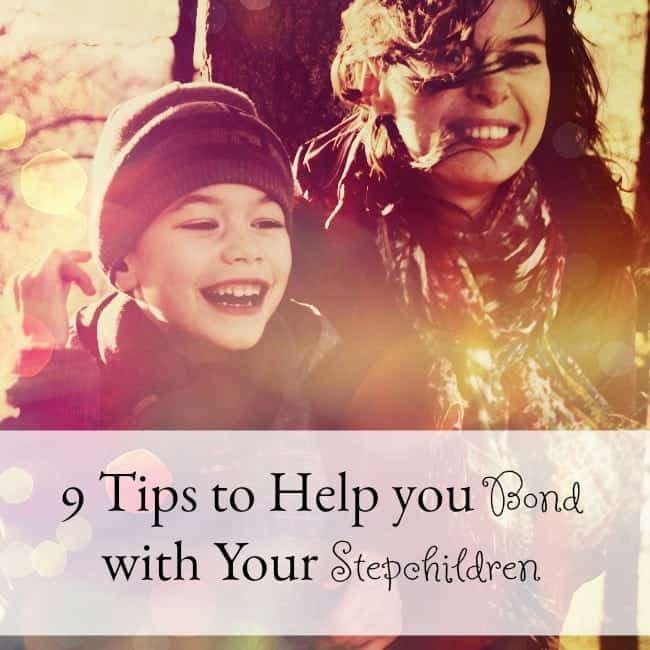 Do you have any helpful tips for bonding with a step-child? Share in the comments below.